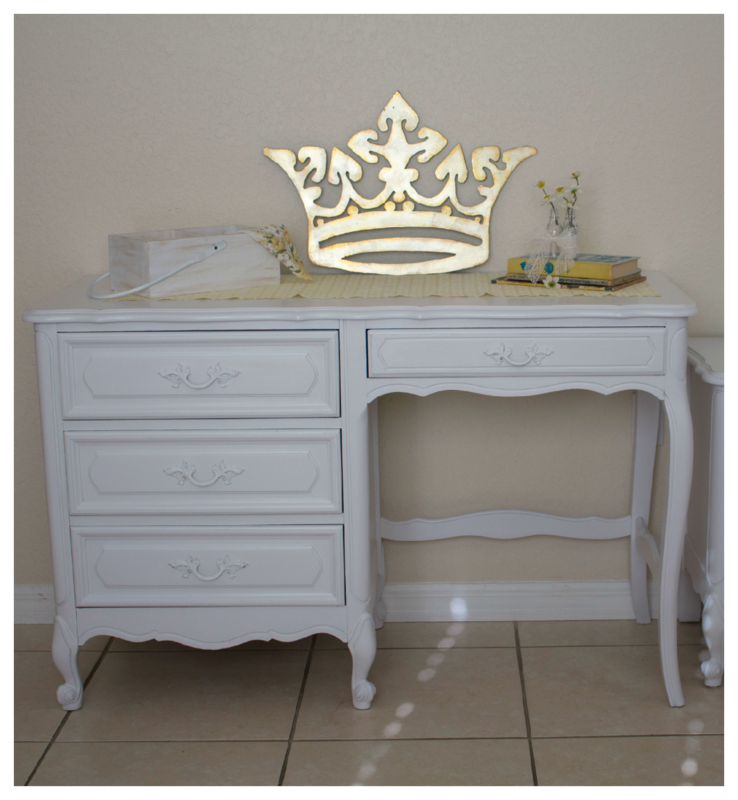 This week I am continuing to show you two more French Provential pieces for my girl's room. I have finished her desk and night stand. 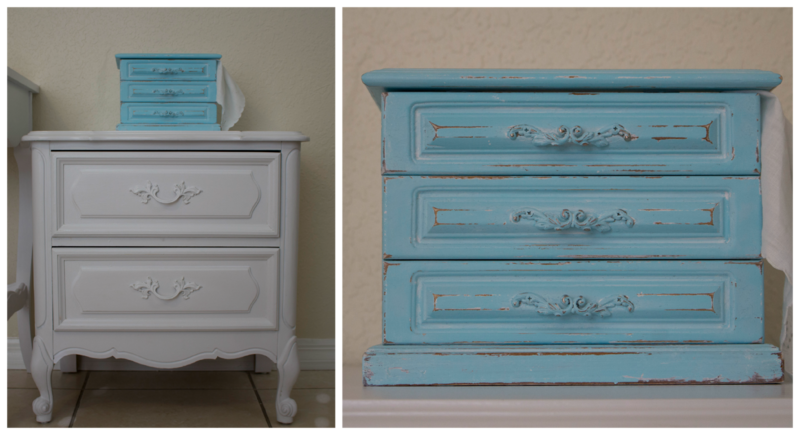 I used the same paint that I used on the chest - (furniture makeover part 1). I love furniture pieces that have curvy legs, it just makes me smile. : ) Not only did this desk turned out beautiful, but it's functional with all those drawers. Those drawers are going to hold a lot of art supplies. 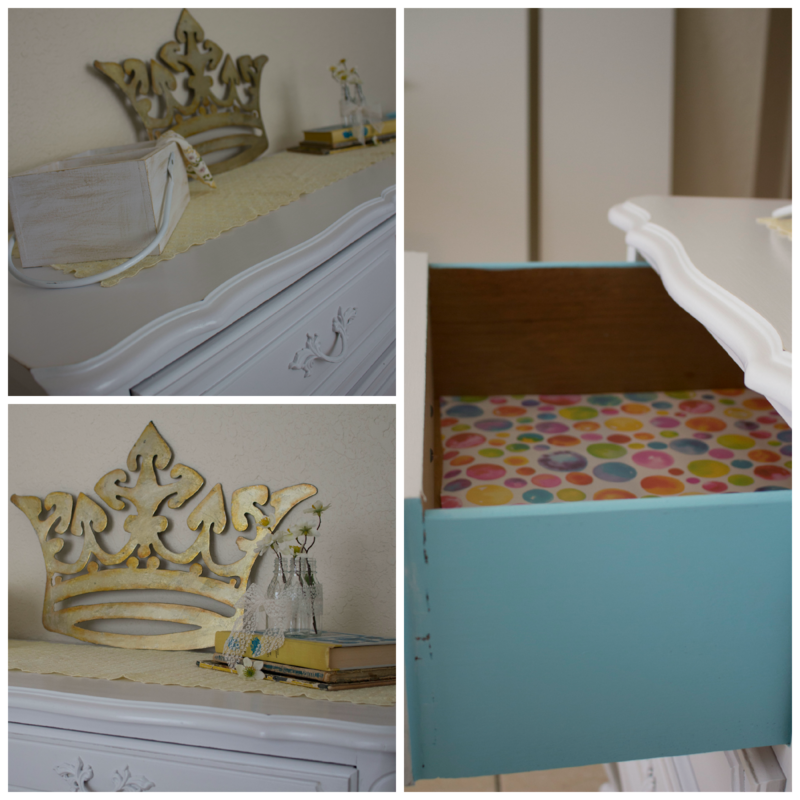 I couldn't resist adding turquoise to the sides of every drawer and lining the drawers with that fun bubble gum wrapping paper. I am a collector of ladies vintage handkerchiefs and vintage children's books. I have quite a collection of books and I used a few that I want to display in her room. My favorite book is "Little Women" and I can't wait to read it to my girl. 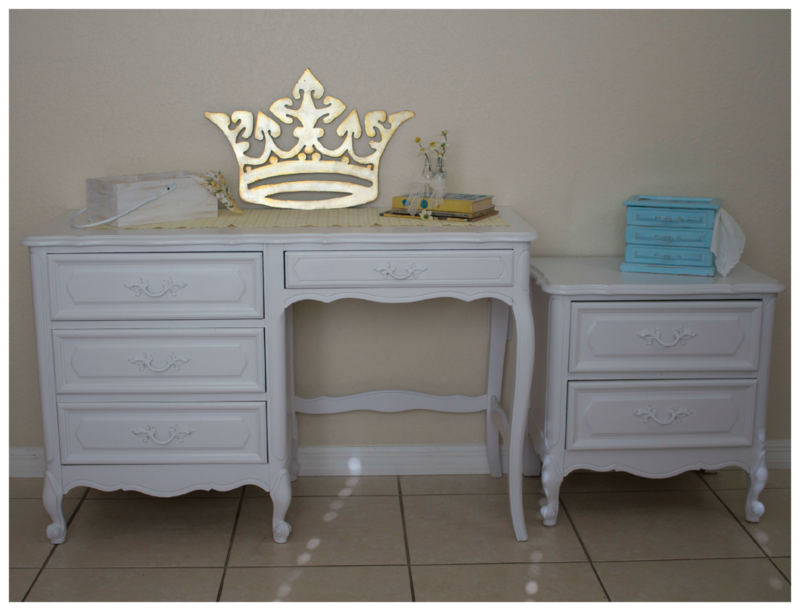 The piece of resistance is this gold crown that every girl should have in her room. These pieces turned out fabulous and I have a chair for her desk that is getting a makeover as well and lots of decorative pieces as well. Little miss and I are excited and looking forward to finishing up her room. Thanks a bunch for stopping by. This is gorgeous! You did a beautiful job on your furniture...I love the blue accent piece! I love this style! So perfect for a little girls room! That is one lucky little girl! Very pretty. Shared on SU. Lovely! You did a great job. Love the little blue chest. I love the pieces together and the polkadot paper is great! So pretty! My daughters would love these pieces in their rooms!